MFAs aren’t a problem: it’s artists being content with what they know. 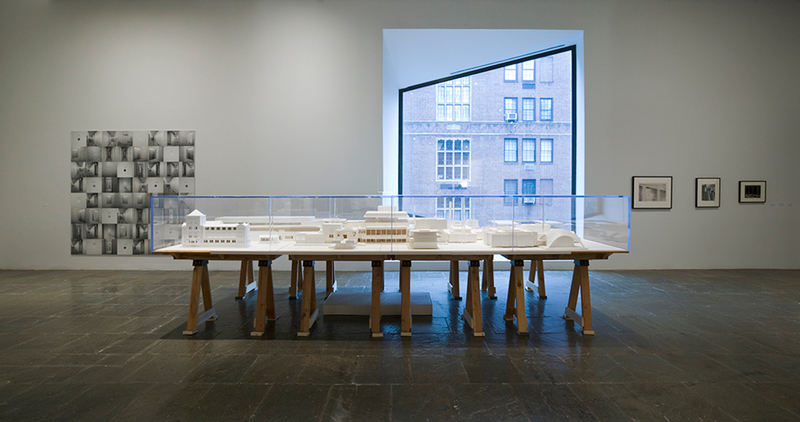 An installation view of Educational Complex (1995), by Mike Kelley. I once had this girlfriend who was an artist. We used to go to galleries and see shows together. Sometimes when she looked at a piece she would say, “Oh, that’s something I did in art school.” After a while it dawned on me that a lot of what she dismissed as student exercises—gambits she figured she’d outgrown—were things I liked. I started to think that she had inadvertently taught me, if not a definition of good art, then at least a kind of rule of thumb for identifying it in the field: if you make art in ways that other artists would have considered disposable exercises—Wittgensteinian ladders to be tossed aside once ascended—then you are getting somewhere with your art. While most art students may never be asked to Method-act a fully characterized fictional artist, they are constantly being asked to divorce themselves from who they are—and, concomitantly, because art is still broadly (though ambivalently) understood as having something to do with vision or visuality, from what they see. Thus the title of one of the more appealing recent books on art education, Draw It With Your Eyes Closed: The Art of the Art Assignment, a spin-off of the indie art magazine Paper Monument. The book was published in 2012, but I was reminded of it when I saw the British artist Martin Creed’s two recent gallery shows in New York City (at Gavin Brown’s Enterprise and the uptown branch of Hauser & Wirth). Creed’s approach has long been strictly conceptual; among his best-known pieces is the one for which he won the 2001 Turner Prize, the self-explanatory Work No. 227: The Lights Going On and Off. He’s made paintings too, but like his other works they were often, as one commentator put it, “all about restrictions: impersonal rules which require a quick, definitive line in space in order to complete the task.” And as with the conceptual artists of an earlier generation, like Sol LeWitt, there was no particular reason that his paintings had to be executed by himself, any more than it was important that he be in an empty room at Tate Britain switching the lights on and off every five seconds. (At the opening, Creed has said, he realized he’d mistimed the intervals: “I thought, ‘Oh no, I’ve got the timing wrong! It should be one second on, one second off!’”) Creed’s most recent paintings, though still as rule-bound as ever, are more about imposing rules on himself, and among them are “Blind Portraits”—done not, as the title might seem to imply, with the eyes closed, but while looking at the subject instead of the canvas. That, too, is a familiar didactic exercise, a way of bypassing the aesthetic superego and letting less manageable factors enter into the picture. The student is likely to be surprised by the realization that something striking can be made by relinquishing control, that letting go of some aspects of “authorship” can be worthwhile. Honing one’s eye on a drawing that one has made without being able to see what the hand was doing, the artist learns to be a witness as much as a maker—spectator and artist as one—and to realize, as well, that any spectator is always something of an artist too. Which is why it takes a viewer, as Marcel Duchamp used to say, to complete the work. What is it that an art student is learning when she learns to use her own blindness or ignorance as a tool? That blindness can lead to insight is something I was never taught as a philosophy major, and I suspect I would not have learned it if I’d studied chemistry, history or French either. In medicine, the fledgling doctor needn’t learn how to be a patient. In none of these fields is it normally considered necessary for students to learn by systematically pulling the rug out from under their feet. That risk is peculiar to contemporary art. The fact that artists are now minted by universities (and degree-granting art schools modeled on the university) may have done wonders for their social standing, but it’s also been a source of worry to many critics and artists, who think something of great value might be lost by the professionalization of the artist. In 1969, Harold Rosenberg reported in his art column in The New Yorker: “My mere citing of some figures—for example, only one of ten leading artists of the generation of Pollock and de Kooning had a degree (and not in art), while of ‘thirty artists under thirty-five’ shown in ‘Young America 1965’ at the Whitney Museum the majority had B.A.s or B.F.A.s—was taken by a prominent younger painter as implying that he and his age group were academic. ‘Academic’ is still a bad word, even though no one knows any longer exactly what it means.” Notice that in illo tempore it was still notable that artists had suddenly become armed with bachelor’s degrees. Today it almost goes without saying that an artist has an MFA, and poor old Rosenberg, sanguine though he was about the credentialization of art, is probably rolling over in his grave now that some universities are launching PhD programs for artists. Rosenberg was certain that university education had been an important influence on “the cool, impersonal wave in the art of the sixties,” which had marginalized the tumultuous heartfelt emotionalism of his friends the Abstract Expressionists. “In the shift from bohemia to academe, American art has become more conceptual, methodological, and self-assured,” he thought. That’s probably so, but in the meantime it’s become impossible not to notice that even as artists are becoming ever more adept in the rituals of the seminar room, their art has not continued to grow still cooler and more impersonal; instead, the temperature of art has simply become more volatile. In the 1980s, the Neo-Expressionists, for all their flailing bombast, were every bit as well-read as the prim and knowing Neo-Geos; today, one and the same school grants identical degrees to both an earnest proponent of “social interventions” among the urban poor and a producer of diaristic zines inspired by the Japanese aesthetic of kawaii, or cuteness. It might be argued that the variety of work being produced by art students reflects the pluralism of the art world (and the art market) in general, but I suspect it is more of a cause than an effect; what Rosenberg thought was the “mental and psychic fragmentation of the typical college art department” has merely blossomed into the greater incommensurability of the products of the professional art world. To get a taste of the “fragmentation” of present-day art education, one could hardly do better than to leaf through a little book published several years ago called 101 Things to Learn in Art School. I don’t know whether its intended readership is prospective art school students—in which case it’s a poor reflection on the institutions themselves, which apparently can’t convey in the four years it takes to earn an undergraduate degree, plus the two further years it takes to get an MFA, what the book has offered in text that takes an hour to read—or readers who only wish they were. But its author, Kit White, is a professor of painting at the Pratt Institute in Brooklyn, and it was published by one of the best art book publishers, MIT Press, so it comes with a seal of pedagogical approval. Having taught in a half-dozen art departments in the United States and Great Britain, and having been a visiting critic at so many others (in those two countries and Canada too) that I long ago lost count, I can attest that there is nothing in 101 Things to Learn in Art School that I haven’t heard somewhere, sometime—and for that matter probably very little that I haven’t actually said myself—at one or another of these schools. The book really is a distillation of the contemporary art school’s collective wisdom. If a lot of that wisdom takes the form of platitude—Polonius at a studio crit—that’s partly because the real force of wisdom lies in its timely deployment: not just what you say but when you say it, at the precise time the person you’re talking to needs to hear it. Just as no one family of techniques can be prescribed as the right content of art education, neither can any one set of ideas. The instructor’s knowledge and experience are always in principal too limited for the job they’ve taken on. They’re supposed to help usher their students into the not-yet-known, toward what, in Draw It With Your Eyes Closed, the Canadian artist Jon Pylypchuk calls “another place where there was no grade and just a friend telling you that what you did was good.” Sooner or later teaching art, and making art, is about coming to terms with one’s own ignorance. Maybe that’s why the art world’s favorite philosopher these days is Jacques Rancière, whose best-known book—published in France in 1987 and translated into English four years later—is called The Ignorant Schoolmaster. Its subject is Joseph Jacotot, a forgotten French educator of the early nineteenth century whose “intellectual adventure” was founded on a paradoxical—one might be tempted to say nonsensical—principle: “He proclaimed that one could teach what one didn’t know.” The educator’s job, since teacher and student are assumed to be equal in intelligence, is nothing more than to “use all possible means of convincing the ignorant one of his power” of understanding. The teacher is there simply to remind the learner to pay attention, to keep working. Tell me “the story of the adventures, that is, the comings and goings, the detours—in a word, the trajectory of the pen that wrote this word on paper or of the engraving tool that engraved it onto the copper.” Would you know how to recognize the letter O that one of my students—a locksmith by profession—calls “the round,” the letter L that he calls “the square”? Tell me the form of each letter as you would describe the form of an object or of an unknown place. Don’t say that you can’t. You know how to see, how to speak, you know how to show, you can remember. What more is needed? An absolute attention for seeing and seeing again, saying and repeating. Don’t try to fool me or fool yourself. Is that really what you saw? What do you think about it? As long as teachers in art school are permitted a healthy degree of latitude when making assignments—as long as emancipatory teaching does not perish, to use Jacotot’s word—then within the very institution that encourages the professionalization of the artist there exists a countercurrent that keeps faith with what puts art at odds with other academic subjects. Rosenberg recognized it: “The function of the university is to impart knowledge, but art is not solely knowledge and the problems proposed by knowledge; art is also ignorance and the eager consciousness of the unknown that impels creation. No matter how cultivated he is, every creator is in some degree a naïf, a primitive, and relies on his particular gift of ignorance.” This is why curmudgeons like Dave Hickey and Peter Schjeldahl should stop complaining about art becoming academic. The problem isn’t with artists wanting to learn, but rather when they’re too convinced of what they know. Harrell Fletcher, an artist who teaches at Portland State University, points out “a prevailing idea about assignments in art: that they are something you do in school but that you’re not really supposed to do as a professional artist.” As long as artists keep feeling the need to set themselves something like school assignments, they are in touch with their ignorance and not merely the servants of a program. One artist who was constantly giving himself assignments was Mike Kelley, whose retrospective is currently on view at PS1 MoMA in Queens through February 2. Long in the planning, the show became a memorial when Kelley, age 57, committed suicide in 2012. And it can be grim: Kelley’s raunchy yet dark, saturnine outlook is always apparent. What he admired about the writing of William Burroughs is true of his own best work: it is “really morose and at the same time howlingly funny.” Much of it is, at least indirectly, about education, which he usually depicts as a form of abuse. But here’s an assignment: remember as many details as possible of all the buildings of all the schools you’ve ever attended; then construct an architectural model combining them into a kind of self-contained miniature city. That’s Kelley’s Educational Complex (1995)—an airless, senseless labyrinth whose only redeeming feature might be its incoherence. This is the emblem of the stultifying education that confirms the student’s inferiority. Some artists, with Jacotot and Rancière, think they see a way out; Kelley makes us feel that we need it.